Trying to be clean here. 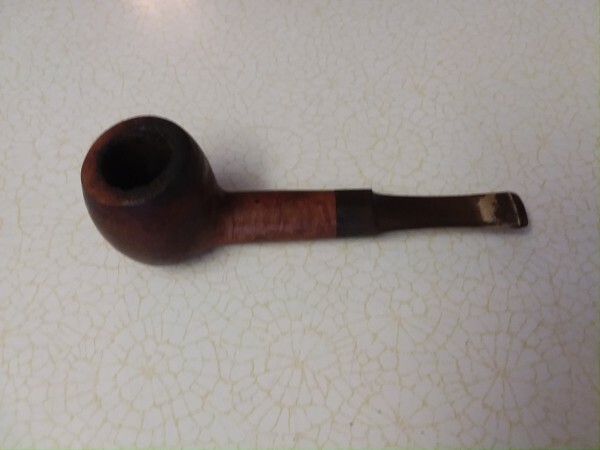 I got this estate Comoy's second and noticed that it has a hole in it(and no I do not mean the tobacco chamber). On the top side of the shank closer to bowl is a perfectly round hole. It has no discoloration around it, it perfectly round and is centered right on the center of the top of the shank. It seems to be too perfectly round and centered on the top to be a burn through or an accident. Any ideas out there. Are you sure its from the factory? Not sure when it occurred. It's very possible some one could have drilled it after the factory. I am assuming it is artificial as it is too perfectly round and centered to be accidental. I looked down the shank with my pen light and as best I can tell it does not go all the way through. But with that location it is somewhat hard to be sure. Just Can't imagine why someone would drill a hole there. I don't know so I'll guess. It was where some retailer fastened some sort of logo that fell off. Or, it was some pipe owner's idea of modifying the draw, maybe to decrease moisture? Does it go through to the airway? I looked with a pen light and could not tell. The location is just hard to see if it does go all the way through. I did fill the stummel with everclear and then sealed the top of the bowl and the shank and shook it up creating pressure and nothing came out the hole. Though it is possible even likely that the hole is gunked up in the air passage as I have not cleaned it yet. Sound like I need to get it cleaned up and then see if it goes all the way through. The idea that someone drilled a hole to modify the draft while sounding silly to me is the only thing that sort of makes sense. Perhaps somewhere in the pipe's history someone felt it proved the draw or that it helped with gurgle, etc. It's the laziest EA Carey hack of all time. Stick something in it to make a conversation piece out of it (altho it already is, isn't it). Maybe it's a blowhole. When your breathing out you get smoke out two holes. Which really sounds dirty. Someone trached the pipe when it was gurgling. I have a sav with an emblem in that exact location. It is held in by 2 tiny pins that sit tight into the stem. Perhaps at one point there was something there and it has fallen out? The discoloration around the blow hole suggests an emblem was attached. But a unique piece it is! I'm with the others thinking a pin of sorts was attached at some point. Such as a lapel pin or similar. My company gives them out after every few years you work with them, 5 years, 8 years, 10 years, etc., etc. Maybe it was a gift from a company he worked for, that did something similar and they or the original owner stuck the pin to the pipe. 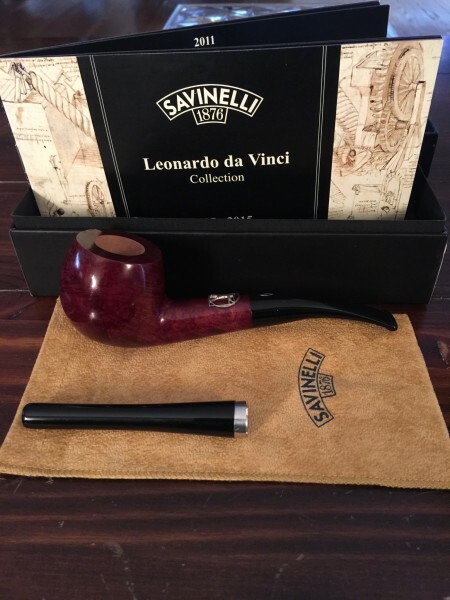 Just a little reminder that estate pipes sometimes live a whole lifetime before they get to us. Sorry, but I'm going to have to comment too. 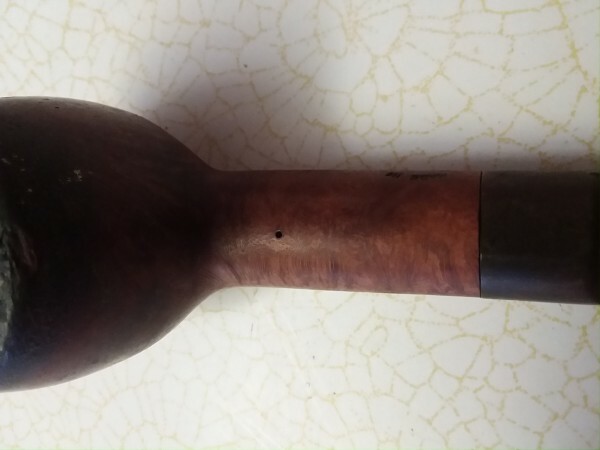 It's probably a L' Anatra pipe, and that was where the little duck head went. Your pipe had been abducted. 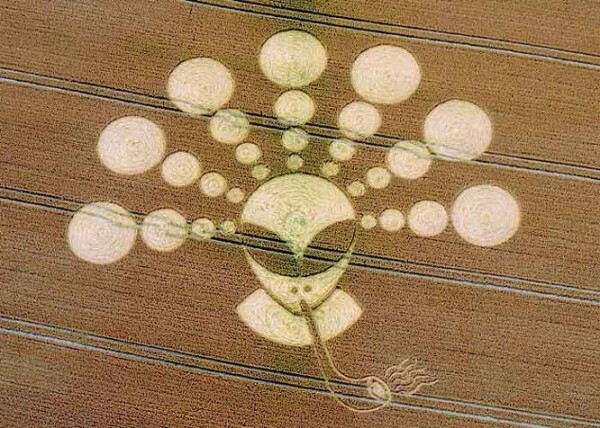 There is evidence that aliens smoke pipes. I know what this potentially is, I've seen a lot of them. I've tracked several back to BODA Pipe, here in Greenville, SC. For decades, they've added their own form of a carburetor to the top of the pipe shank by drilling that tiny hole...right in that exact spot. It's supposed to introduce a pinhole worth of cool air to the smoke as it passes thru the shank (to help make the smoke cool /dry). They still do this today. If it were mine, I'd be patching it. But it won't hurt anything at all; tons of their customers love it.